Dr Jon Brock is a researcher and lecturer in Cognitive Science and Psychology at Macquarie University in Sydney, Australia. He co-directs the Macquarie University Centre for Atypical Neurodevelopment and is a chief investigator at the Australian Research Council Centre of Excellence in Cognition and its Disorders. 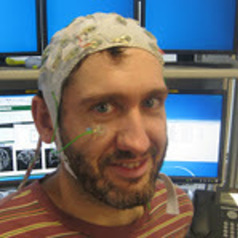 His research uses eye-tracking, electro- and magneotencephalography, and behavioural measures to investigate the cognitive and neural basis of developmental conditions such as autism, Williams syndrome, and Down syndrome.